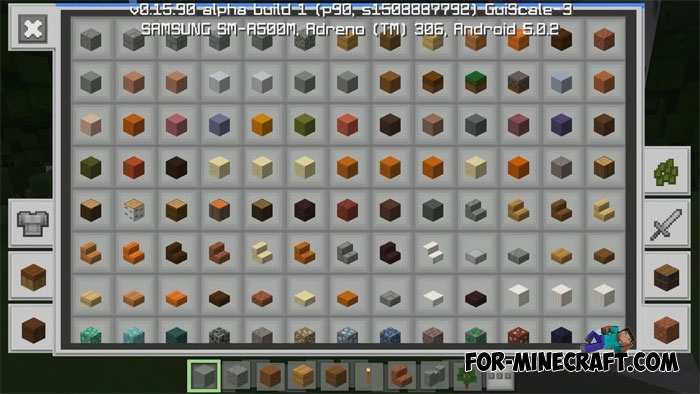 It's a pretty old texture pack for MCPE but it does not lose its relevance. The Paper Cut-Out textures will transform monotone color and make the world brighter. 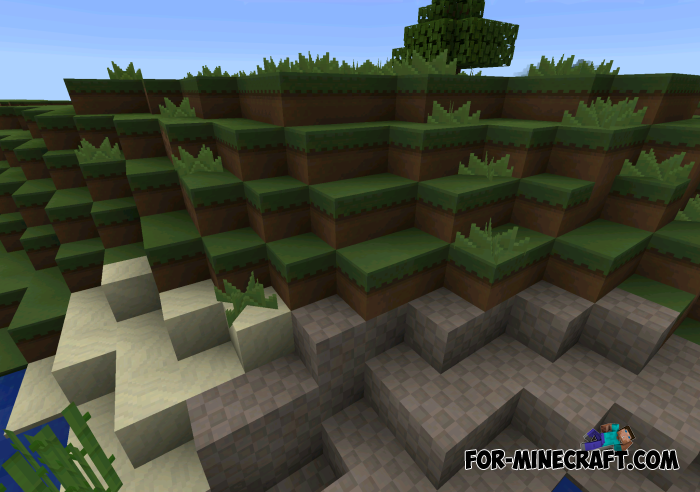 The author has created a really nice, smooth and pleasing to the eye texture pack which comprises a number of features. 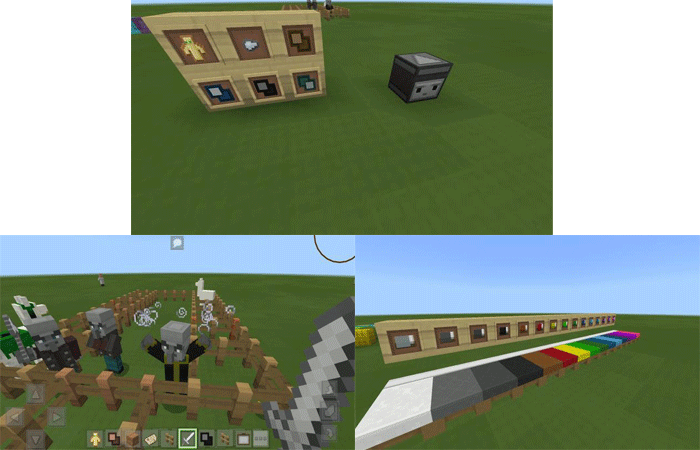 Added all content from Minecraft PE 1.9. 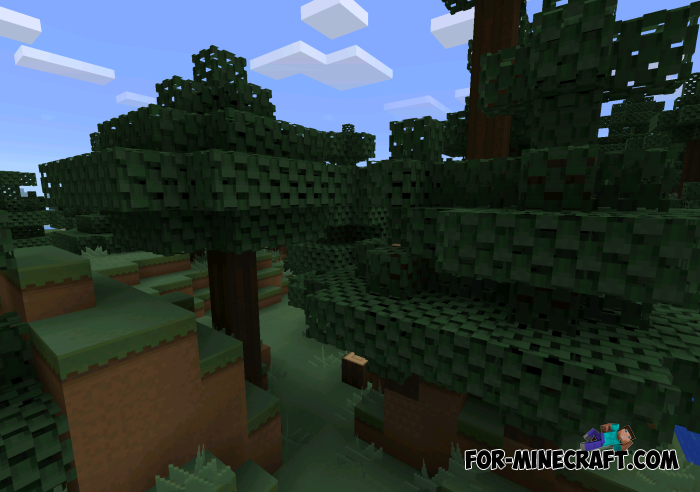 Works on MCPE 1.10 but without its features. 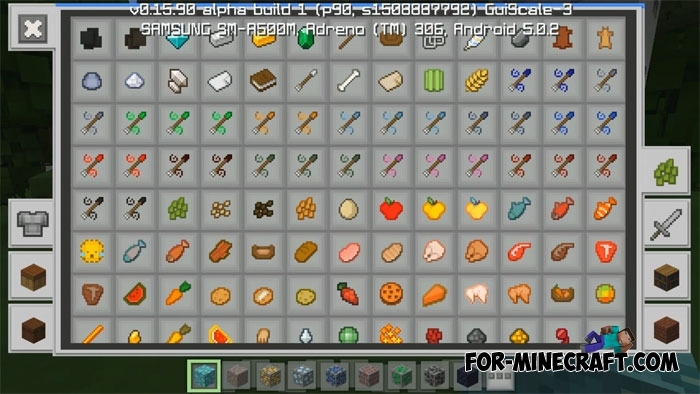 Aquatic content is almost completely added. 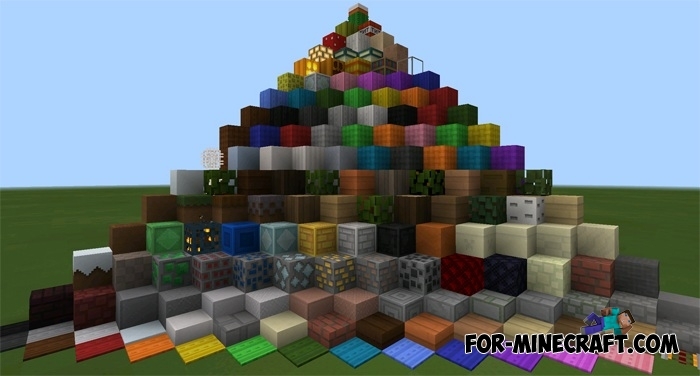 Optimal version for MCPE 1.6 and 1.7. Added new textures (drowned, trident, etc.). Release of new versions of the game is also supported with the exception of new things. Blocks have a smooth texture, the colors become more saturated, and you'll notice the difference immediately. In my view, the ore blocks are a distinctive feature. They were seriously changed and now look very attractive. The pack supports both Android and iOS operating systems. Below you can download the Paper Cut-Out pack for Minecraft PE 1.1 and 1.2, added all the new items and mobs in this version. Go to global resources and activate this textures.